I love the movie Moana. And, particularly, I love this song—both because it’s a great song, and because it perfectly encapsulates a deep truth about reading scripture, or any kind of story. On the surface, the meaning of the song is clear: “Happiness is where you are”—and as a result, you must be sure that “no one leaves”, because the small village you were born in is all anyone could ever need or want. But if you’ve seen Moana, you know that this is exactly the opposite of the moral of the story. So why is this song here?! The song is here because the point of the story is that Moana needs to make her own choices, and in order to do so, she needs to hear all sides, as fully and completely as possible. So right in the middle of this movie about voyaging and discovery is a song where the other side gets to make its case. To be sure, there is truth here as well. There is something true about finding happiness right where you are. And ultimately, Moana will be able to take that truth, and integrate it into the larger truth that she was destined to be a voyager. So the stay-at-home point of view makes its case—boldly and loudly and boisterously. Moana’s grandmother represents the still deeper truths that gave rise to her community, but are no longer remembered or openly practiced there. In her playfulness and prophetic “craziness”, she is free to honor her people’s tradition, while reminding them of where that tradition came from, and what it is really about. Her message to Moana is to look below the surface of the story, the surface of the community, the surface of the song, and listen for the spirit of truth itself. That spirit, that truth, is the source of the island that everyone else is so concerned about sticking with. Below the surface meaning, the song itself testifies to the profound nature of the island community. 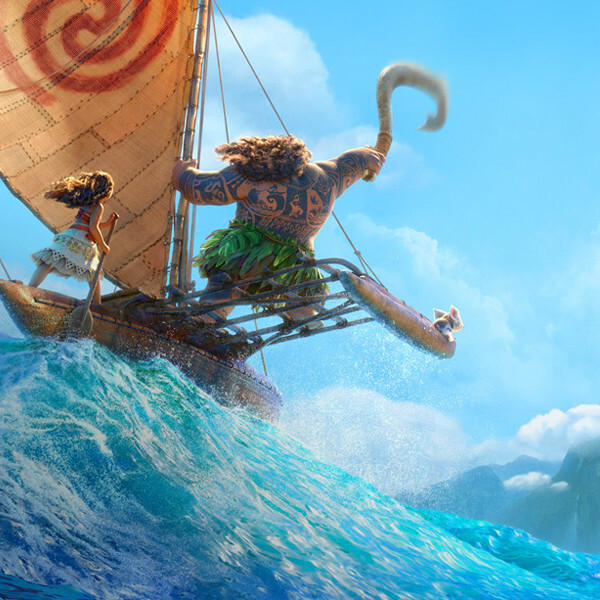 And ultimately, Moana will realize that to be true to the island, she will have to seem to leave it—reconnecting with her voyaging roots in order to reawaken its spirit and life. So Moana’s grandmother makes her point, and then steps aside while the alternative case continues. Like Joshua’s encounter with a stranger or the interlude with Melchizedek, she plants a seed that will later grow into a full-blown realization, and provoke a dramatic and courageous transformation. This is how scripture works, because it’s how stories work. And it’s how stories work, because it’s how human life works.